Top Ten Albums of 2009. I had kind of a hard time with my list this year. My top 5 is solid, though, and I stand by it. 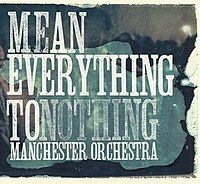 -Manchester Orchestra is easily one of my favorite bands of all-time. And this is easily one of my favorite albums of all-time. It’s just good, all the way through. And I think it took MO to a whole new level. 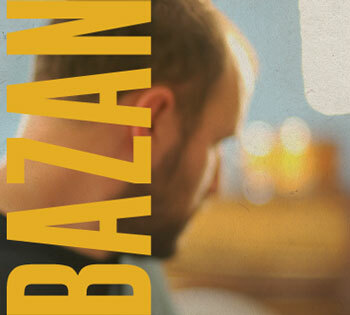 -David Bazan is also another one of my all-time favorites, so this was a good year, musically, if only to just get the MO and Bazan albums. This, in my opinion, is the best album Bazan’s put out to date. And that says a lot. It asks a lot of good questions, and it’s musically at a new level, too. -I was a huge fan of The Format, and am a huge fan of Anathallo, so when I heard that Nate of the former and Andrew of the latter were getting together to start a new band, I knew right away I’d be a fan. I was right (I always am). This album is “fun” from start to finish, and getting to see the new group open up for the aforementioned MO was a special treat. 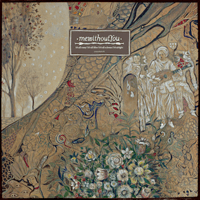 -I’ve never been a fan of MewithoutYou. I had nothing against them, but they just weren’t really my cup of tea. This album is totally different. It’s very Neutral Milk Hotel-esque, and is just really good. It makes its way back into my cd player once a week or so, and the first two tracks alone are worth this being in the top 5. -I’ve also never really been a fan of The Avett Brothers, so this year has been a year of getting to know new bands for me. While in Philly for Jason’s wedding, I was riding around with Gene and Kick Drum Heart came on the radio. I had no clue who it was, but really dug it. After the song the dj said who it was, and when I got back to Gene and Laura’s I downloaded the album. There are a couple of songs I could probably do without, but for the most part it’s a really solid album. -Even as an EP, this album deserves a spot in my top ten. 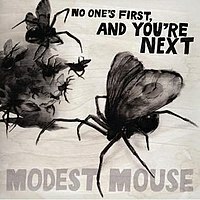 Partly because I just love Modest Mouse, and party because most of the songs on this album are top notch. 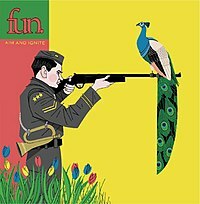 -My biggest disappointment with this album is that it’s very typical. That being said, typical Sleeping At Last is still super awesome. They just have a soft, soothing-ness to their music that I can’t help but love. -This is a cool EP set Mae did. They took all the proceeds and used it to built a Habitat for Humanity house. They released one new track a month, and you could go pay what you wanted for it. They built the house and then started using the money for other charities. Plus, the songs are really good. Unfortunately, the release of the last two songs have been postponed because the band’s equipment was stolen while they were touring. 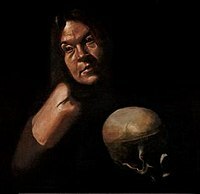 This is a good band, and these are some of their best songs. -This must be the year of the EP. We’ll blame it on the economy. This is actually a friend of mine’s band from Nashville and I really dig them. This full-length, Barricades, is really great, and this EP is a nice little something to tide fans over until the next album release. -MuteMath is one of the best band you’ll ever see live. Ever. And every time I see them live, they’ve gotten better than the last time, which doesn’t even seem possible. Because they are such great showmen, their music is that much better. I can listen to this album and picture what they’d be doing onstage and it just makes me smile. There are some really great songs on this album, too. but most of them I haven’t given as much time as I should. Very interesting clip. I’d like to check out the whole documentary. Merry Christmas from The Almost! Robin Hood is such a good story. It’s about time it were updated again. Plus, Ridley Scott is awesome and Russell Crowe is perfect. because… well… we do video production. You can click on the video and choose the HD version to view it in all it’s highly defined glory. Yes, I have on a Nickelback shirt. D. Smith drew the animation and thought it was hilarious. And he was right.